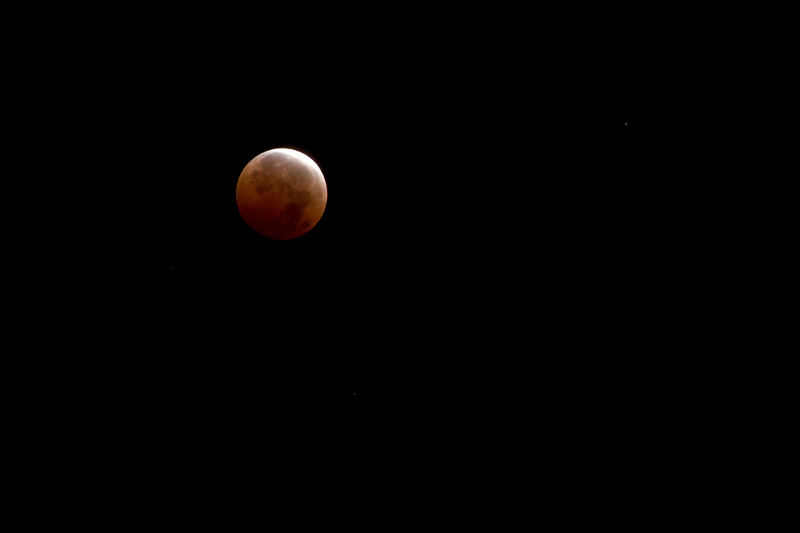 After going to bed much later than I do on a weeknight, I awoke a couple hours later, climbed up on the roof, and managed in my groggy state to set up my clunky old tripod, my 7d (for the crop factor), and took some photos of the total lunar eclipse around 4am. The night air was crisp, still, and not as chilly as I was expecting. It was a lovely autumn night (er, very early morning) to moon-gaze. 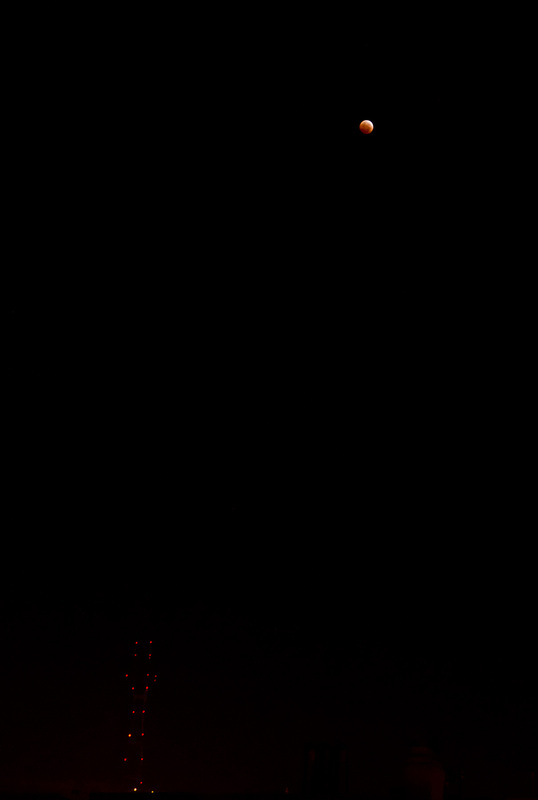 Some lucky east coasters got to experience a selenelion, where the sun rose as the eclipsed moon set, 180 degrees apart. How spectacular that must have been. As for me, I watched the moon float high above Sutro Tower, just barely visible in my photo. I like knowing that even though I was alone on my roof, there were so many others viewing that same gorgeous celestial phenomenon.